Our NEW Sheet Masks are here! We are happy to introduce our newest collection: SHEET MASKS! We took our popular gel and clay masks and reformulated them into something amazing. They are perfect for on the go, sleep overs, or for a night in with the girls. Each one combats a different sign of aging, from reducing the appearance of wrinkles to locking in moisture to dull, dry skin. Head on over to the shop now and discover the endless possibilities with these four amazing sheet masks. If there's one ingredient praised more than any other for its wrinkle-fighting, complexion-perfecting abilities, it's this crazy-effective derivative of vitamin A. The deal with Retinol is that in study after study, it has been shown to build collagen, decrease fine lines, and improve skin's texture. The prescription version (Retinoic Acid, or Retin-A) acts fastest but is pricey and can be drying. While creams and serums may take a bit longer to show results, the effects that worth while. Whichever type you use, you'll want to ease into your Retinol use slowly. But stay off harsh physical scrubs and peels while you're using Retinol; remember to moisturize, moisturize, moisturize; and use extra sunscreen for the first six months. This little molecule helps lubricate our joints and keep skin plump, and is one of the world's finest humectants (elements that attract and retain water). What does that mean for skin? Hyaluronic Acid is not only a great moisturizer but it goes well with other active skin care ingredients (so you can layer it with Retinol, for example, and use it daily). The best part about using Hyaluronic Acid is that it doesn't have any fine print on how to use. It benefits any skin type, at any age! Vitamin C is an incredible antioxidant and it stimulates collagen production. In other words, it increases radiance and evens out spots. Vitamin C protects the skin against sun damage, but from the inside out. Therefore, it should be used in conjunction with a daily sunscreen applied after the moisturizer, since sunscreen needs to work on the very top of the skin to protect it. Vitamin C is not a substitute for SPF protection, even though it works as a strong anti-oxidant from deep within the skin. For best results and for an even bigger brightening boost, combine Vitamin C with Vitamin E or Ferulic Acid. Collagen is the most abundant protein in our bodies. It is found in our muscles, bones, skin, blood vessels, and other parts. Collagen is what gives our skin strength and elasticity while replacing dead skin cells. In other words, it is the "glue" that holds us together. As we age, our skin begins to produce less and less Collagen. In doing so, our skin loses that plumpness it once had. Increasing Collagen levels can help your skin look firmer, increase smoothness, and help your skin cells keep renewing and repairing normally. Alpha Hydroxy Acids, or AHAs, are natural acids that act as chemical exfoliants which help to loosen and get id of the dead skin cells on your skin's surface. Regular exfoliation helps keep your complexion naturally bright by preventing a buildup pf dead skin cells that dull your skin. AHAs can help with clearing up sun damage, hyper-pigmentation, fine lines, and wrinkles. By removing the dead skin layers, you are optimizing your skin's absorption's levels so you get the maximum results from your favorite skincare products. Activated Charcoal is a potent natural treatment used to trap toxins and chemicals in the body, allowing them to be flushed out so the body doesn't reabsorb them. Throughout the day, natural pollutants are all around us and tend to clog up our pores, thus causing our complexion to look rather dull. Charcoal can help to unclog pores, reduce unwanted excess oil from our skin, and deep clean your skin. Discover our new line of clay and gel masks and there amazing benefits for every skin type! Our Vitamin C Clay Mask utilizes Vitamins C and E, and Volcanic Sand to improve the look of age spots, pigmentation and sun damage, while also reducing impurities and overexposed skin. 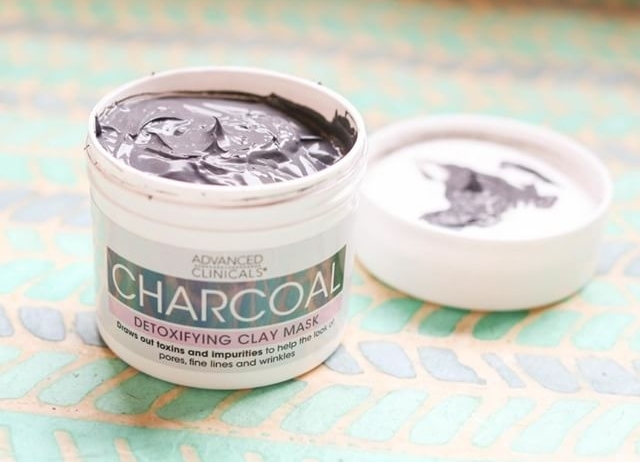 Our Charcoal Clay Mask utilizes Charcoal, Green Tea, and Witch Hazel to minimize the appearance of pores, fine lines and wrinkles while cleansing the skin, in addition to reducing redness and oiliness. Our Hyaluronic Acid Gel Mask utilizes Glycerin, Hyaluronic Acid, Aloe Vera and Algae to maintain youthful skin by improving elasticity and firmness to create a brighter complexion. Our Collagen Gel Mask utilizes Ferulic Acid, Rosewater, and Collagen to reduce the appearance of expression lines and wrinkles by tightening, nourishing and purifying the skin.